The OUTDOOR/SPRING REGISTRATION is CLOSED. We are no longer accepting new registrations. Practice Locations: Steuart Weller Elementary School starting Tuesday, March 26th. Park View High School starting May 21st. 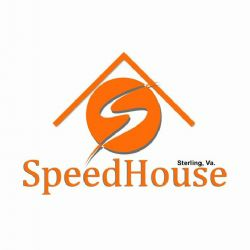 Days and Times: Tuesdays and Thursdays (6:30pm to 8:30pm) and Saturdays (9am-11am) when there is no track meet scheduled. Legacy Track and Field club organized in Loudoun County, VA for the purpose of teaching and promoting the sport of track and field to athletes ages 6-17 years old. 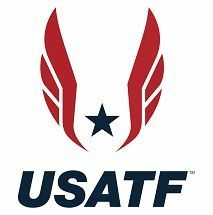 Our objectives are: train and develop athletes in the sport of track and field; empower athletes to harness their athletic abilities; prepare athletes to excel on and off the field; promote overall healthy eating and exercising habits; and to train and develop future leaders of America. We're committed to creating a Legacy that we can all be proud of. Another GREAT INDOOR Season is in the books. 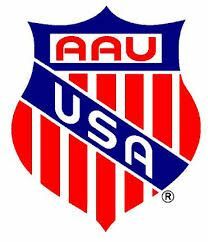 Over 180 teams were represented at the AAU INDOOR NATIONALS CHAMPIONSHIP with over 2400 athletes particpating. I want to start by saying that out of the 25 athletes that we qualified and participated in this meet, an astounding 23 of them had PERSONAL RECORDS in at least one of their events and several had top 20 in the nation finishes! Needless to say our Legacy coaches and parents are extremely proud of those accomplishments! But we had 6 athletes that rose to being some of the top athletes in the nation and being awarded a medal by qualifying at least 8th place in an event. Below are our LEGACY 2019 top AAU INDOOR NATIONAL athletes! NOTE: Our Legacy 11/12 year old girls relay team are the #1 relay team in the state of VIRGINA in that age division! 2018: Amaya Johnson earned a track and field scholarship to The College of William and Mary and will compete in the 2019-2020 Track Season for "The TRIBE"! Amaya is currently a track standout Senior at Potomac Falls High School in Sterling VA.
2019- Langston Pridgeon- was awarded the 2018 USATF VIRGINIA ATHLETE OF THE YEAR! (Boys 8 and under division) at the USATF Virgina Awards Banquet in February. An AWESOME achievement! Congratulations Langston!